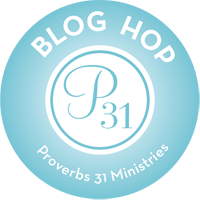 I have joined another Proverbs 31 Bible Study (once again a week late.) We are studying Lysa TerKeurst’s book Am I Messing Up MY Kids. While Lysa is one of my absolute favorite authors I was not planning on doing this study. Why? Well, honestly, parenting is NOT my forte. It is not something I feel confident in and definitely not something I feel comfortable writing about. I am going to brag here for a moment, so bear with me: I have good kids. There is no doubt about it. God has blessed me with really good kids. I get complimented all the time on how good my kids are. Then, a lot of them, ask me for parenting advice. I have nothing to tell them. It is nothing my husband and I have done, they are just good kids. I just try to parent them according to scripture (the best I can) and try to be the parent I needed. If someone was to come and judge me on my parenting, I would be on the lower end of the grading scale, and I’m not lying either. When Lysa shared the story about her screaming the “D” word at her daughter, I could relate. I’ve been there, more than once, and I probably used a different lettered word. I’m not bragging, just being honest, and helping you all understand why I don’t give advice on parenting. No matter my faults, I love my children. There is no one here on this earth that loves them more than me. Yes, my husband loves them as much as me, but he could not love them more than me. Of course, God loves them more than me or my husband and I find that very encouraging. To know that the God of this universe loves my children more than me, who will fight for them harder than me, who will defend them more and longer than me, who will protect them better than I ever could, gives me the strength to let them “live”. If it wasn’t for God, my kids would be wrapped head to toe in bubble wrap as they are accident and illness prone. And I not just talking a broken bone here or the sniffles there. No I’m talking go-cart accidents (done without my permission) requiring surgeries and screws, open heart surgery, life threatening staff infections, on and on it goes. All that to say, the only way I can parent confidently is to give my children completely to God. And the only thing I can give to my children is God. The only thing I have to give my children is Jesus Christ. This is really all I have to give. My husband and I made the decision years ago that our house was going to be a house that serves God. Not only would our children be brought up in the Church, they would be brought up in Christ, meaning that we would do our absolute best to make sure each of our children had (have) a relationship with Jesus Christ. Proverbs 22:6- Train up a child in the way he should go, And when he is old he will not depart from it. In order to make sure our house is a house for God, my husband and I have to lead by example. We have to show them our love for Christ and how to apply Christian principles to everyday life. We don’t have to be perfect, just willing to make amends and changes when we act contrary to the Word. One of the worst mistakes I make as a parent is being a hypocrite. Sometimes I do act contrary to what I believe and my children witness it. But more times than not, they also see me correct myself. While I hope and pray to be more obedient, I think there are great lessons to be learned in the failures as well. Recently, my middle daughter has let us know that she would like to be a full-time missionary in Africa. To be honest, I was thrilled she wanted to be in ministry, but I am not thrilled with her choice of ministry. At first I wanted to shout at God and say, “I take her back God, you can’t have her if you are sending her to Africa!!! !” But a cooler head prevailed and I rejoiced at the thought of her giving her whole life to Christ. After all, this is all we have to give. My next thought was on the practical side. Now, maybe you should get a degree in teaching. After all, missionaries are teachers and you would have a career to fall back on if this whole ministry thing doesn’t work out. My daughter’s reaction: isn’t that doubting God? Where is she learning this stuff from? Gesh……hmm…..I gave my life to Christ. I gave my children’s lives to Christ. Now my daughter, on her own, is giving her life to Christ…this is all I have to give. You are a lucky mum. God has blessed you wurh compliant kids. I too, desire to bring up my kids in the ways of the Lord…and biblically grounded in the Word so that they will not depart from it. My 3 year old is a good kid as well…80% of the time…then when I loose it over her the 20% I feel miserable. I love how your daughter is teaching you…what a blessing for her to have such a heart for the Lord! Great read, thanks for sharing! Previous Previous post: Saved From Hell or Saved From Sin? Next Next post: Beyond the Book Review:Not A Fan:Narrow or Broad?